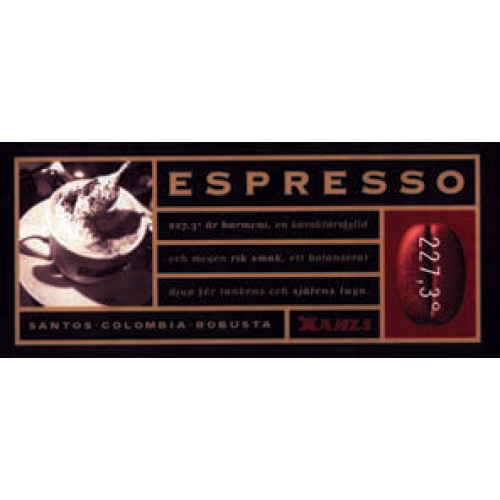 Kahls Espresso 227,3 coffee beans is Kahls classic espresso recipe since the 1950s. Back then in the early 1950s in Sweden, and in Gothenburg, there where many immigrants from among other countries Italy. At the time, Kahls had a shop on Artillerigatan in Gothenburg. the coffee was supposed to be roasted much darker. they where also involved in composing, so that it was in terms of taste. The mixture that was the best contained Colombia, Brasil and Robustabeans. Today you can get this classic blend in several varieties. 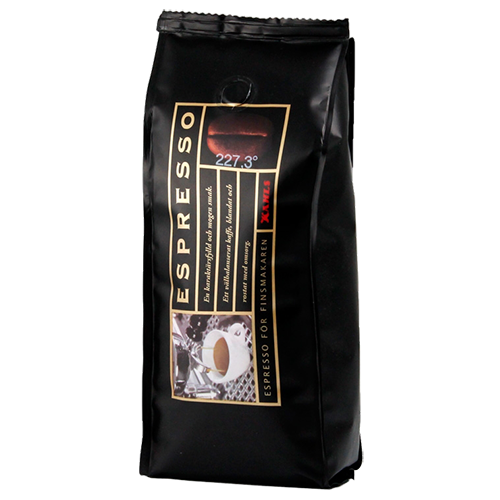 Contains largebeans from Brasil, Colombia and Robusta.